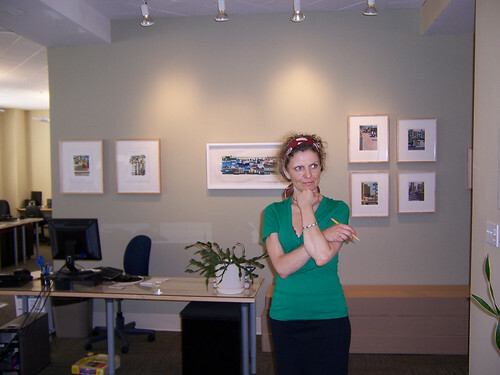 Julia Hensley pondering the placement of her artwork in the Sightline lobby. 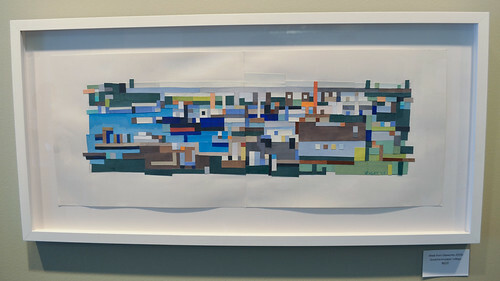 “West from Gasworks” Gouache-on-paper collage by Julia Hensley. 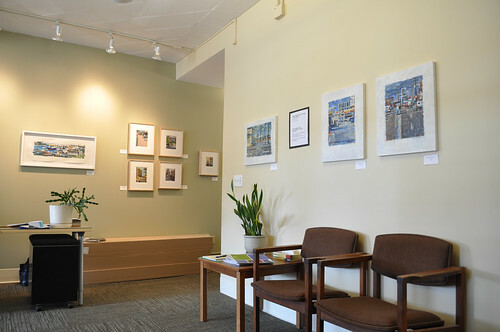 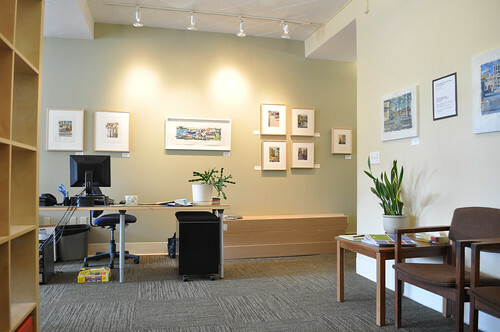 Julia Hensley’s art hanging in the lobby of the Sightline Institute office in downtown Seattle.